The pathology of Alzheimer’s disease (AD) is characterized by brain shrinking in the frontal, temporal, and parietal regions, with senile plaques, distorted neurites, and tangles in brain neurons, within defined areas of the brain. Another characteristic of AD is areas of low metabolism in the brain. This decline in brain glucose metabolism occurs before pathology and symptoms manifest, continues as symptoms progress, and is more severe than that of normal aging. In pilot study, Over 100 people reversed Alzheimer. 75% of people with Alzheimer’s on an effective nutritional program reverse in 6 months. Proper diet excludes refined sugars, supplies MCT’s for ketones and lowers inflammation. Type 3 diabetes, high blood sugar and failure in your insulin function, is one of the major causes of Alzheimer’s. Study from 2014 in New England Journal of Medicine followed several thousand people over 7 years and only did one test at the beginning of the evaluation, measuring their blood sugar. Those folks who even had slight excesses in their blood sugar would go on to be much more likely to develop Alzheimer’s. Prediabetes or metabolic syndrome is a precursor to Alzheimer’s. Since these are dietary induced conditions, it is obvious that Alzheimer’s is preventable. In Alzheimer’s the frontal areas of the brain develop insulin deficiency and resistance. This is occurring in people who do not have type 1 or 2 diabetes. Insulin resistance in the brain in type 3 diabetes and is also called Alzheimer’s. This means the brain is no longer able to use sugar as fuel. Dr. Mellissa Shilling published a report that demonstrated diabetes markers and risk for becoming an Alzheimer’s patient. The conclusion was that about 50% of Alzheimer’s could be prevented if we would lower our blood sugars. This means stop eating sugar and carbohydrates. You want a low glycemic diet. We spend so much of our lives spiking our insulin. A 67 year old woman had came down with Alzheimer’s. She was getting lost on the freeway and could not remember a 4 digit number. She was having trouble doing reports from her work. She could not get insurance to cover her needs, so she called a friend saying she was going to commit suicide. Her friend sent her to a center specializing in Alzheimer’s. After 4 years at the clinic her memory is better than when she was in her 30’s. She is 71 and doing great and back at work full time. Prescription drugs can damage people’s brains, leading to Alzheimer’s. High blood sugar or insulin malfunctioning can cause Alzheimer’s. Failure to sleep can be a cause of memory decline. Chronic Bladder infections, and chronic sinus or candida infections can contribute to Alzheimer’s. Yeast infection can cause sinus problems and Alzheimer’s.. Candida can cause secondary bacterial infections. Clearing the throat all the time is a sign of candida. Having a lot of gas is a sign of candida. Irritable bowel syndrome and any gut issue has to be cleared up to Alzheimer’s as the gut health reflects in brain health or disease. Coconut oil for many people with cognitive decline will reverse their memory loss. This is due to providing an alternative fuel in the form or ketones. Sleeps Roll In Memory: The more sleep deprived you are the faster cancer cells grow. Deep stage 3 and 4 sleep is when growth hormone is released and the body repairs. REM sleep is short term memories are stored in long term memory brain areas. No one is going to deprive themselves of sleep into a state of Alzheimer’s. Good sleep involves going from awake to stage one, then stage two, three and four, back to stage two and then REM sleep. This is one cycle. One cycle is 90 minutes long and a healthy person will go through 5 sleep cycles for a total of 7.5 hours of sleep. In the first third of the night, we repair. In the last third of the night we experience REM sleep, which is where mental restoration occurs. This is also where short term memory gets transferred to long term memory. People tend to miss out on the last stage or cognitive side of sleep. Initial memory loss from sleep deprivation is just a lack of REM sleep and not signs of dementia. Light therapy can be effective for people with insomnia. You can buy a device to emit the 450-nanometer light needed to help with sleep. People have heard that you should not have blue light at night. When blue light hits the melenopsin cells in the eye. It sends a signal to the brain they say, stop-producing melatonin. But when you have Alzheimer’s when you use it is produces agitation. By using the blue light between 7:30 to 9:30 pm, you ask the Pineal gland to hold onto it’s nighttime supply of melatonin until bedtime. Where it releases a larger amount and getting to sleep is and staying asleep is easier. When we hit 58 to 60 years of age melatonin production decreases. .5 and 1 mg of Melatonin is a more accurate dosage, than the standard 3 or more milligrams. It takes 90 minutes to reach plasma concentrations to effect sleep. Therefore you need to take it 90 minutes before you go to sleep. Melatonin can interact with beta-blockers, so a senior with Alzheimer’s needs to have someone check to see if the drugs they are taking interact with Melatonin. Magnesium can be used to relax the body. Bananas have one of the highest levels of magnesium, and the peel has 3x the amount of magnesium than the fruit. Here’s how to use the banana peel to get the magnesium. Using an organic Banana cut the ends off of the banana and cut the banana is half. Then boil these two banana halves until the skin in brown. Then pour this banana tea into a cup, let cool down and drink. You can add cinnamon and honey. It may be that the compound called bananadine may also be contributing to the relaxation effect. Bananadine becomes active only after heating. Over the course of the day, Adenosine builds up and that’s what makes you sleepy. You have a sleep circadian rhythm. When your body temperature begins to drop around 10:30 at night is when Melatonin is released. It is best to go to bed the same time every night. Napping can interfere with sleep. In the morning you need to rehydrate first, not drink coffee. Second thing is to get some sunlight for 15 minutes, Sunlight Resets brain for the day. Then get some exercise. Sugar at dinner can interfere with sleep. Sagapro, which is Angelica, can help incontinence. Pumpkin Seed Oil can also improve bladder control. Candida reflects as irritable bowel and sinus infections. Clearing throat a lot and gas are signs of candida. To insure you get rid of candida permanently you’ll to thoroughly detoxify mercury from the body and restore alkaline pH. Approximately 80 to 90% of someone’s mercury burden can be removed in as little as three months with our mercury detox protocol, found on the reports page of our sgn80.com website. Getting rid of Lyme infection is essential as well. This has been done successfully using the World’s Most Powerful Zapper. Nutritional support essential to overcome Alzheimer’s: improving insulin sensitivity with K2. In Alzheimer’s it is called type 3 diabetes. The sugar cannot get into the brain. With K2 you help prevent this. K2+ is the best product choice because it contains, MK7 as the form of K2 and vitamin A and D. The A is needed to create uncarboxylated osteocalcin. Uncarboxylated Osteocalcin is proven in studies on men to improve insulin sensitivity over 4 weeks. Folic acid deficiency is a major factor in causing Alzheimer’s. So taking a B complex is imperative. The most powerful B complex I’ve ever found is “Bio-Strath”. This is living yeast that is cultured on herbs. It contains over 60 compounds that feed the body and uniquely help with energy production and appetite to name two. Folic acid, B12, B6 and other nutrients play a far greater role in Alzheimer’s disease than drugs, but compared to drugs, it is a fraction of the price. Recommended Daily Allowance’s are not adequate! India has a 70% lower rate of Alzheimer’s than we see in the United States. This has been traced back to the curcumin in the diet. Which is derived from turmeric. Curcumin is a major protector of the brain. Using Anti-Inflam you’ll be getting a 250 milligram extract of Curcumin called CurcuWIN™ with 20% Curcuminoids. Curcumin works best with other antioxidants, so it is best to take a combination of several antioxidants together. Anti-Inflam contains Holy Basis, Ginger, Green Tea, Boswellia, Resveratrol as others synergistic powerful antioxidants. Anti-histamine, drugs for incontinence, acid blockers all increase dementia. Just taking seniors off of medications can many times alleviate their Alzheimer’s. Dr. Mary Newport discovered coconut oil help reverse her husbands Alzheimer’s and wrote two books on it. This same protocol has help hundreds of people improve in memory or cognition. After using coconut oil, people begin to remember family members and depression lifts; they can make conversations and activities again. They can begin to take care of themselves again. They will resume hobbies and chores again. Other improvements include better sleep and better appetite. Ketone bodies are an efficient alternative fuel for cells that are unable to metabolize glucose or are ‘starved’ of glucose. AC-1202 is a proprietary oral formulation of caprylic triglyceride, which is designed to elevate serum ketone levels safely. We previously showed that treatment with AC-1202 in patients with mild-to-moderate Alzheimer’s disease improves memory and cognition. Treatment outcomes were influenced by Apo lipoprotein E genotype status. These data suggest that AC-1202 may be an effective treatment for cognitive dysfunction by providing an alternative ketone fuels called acetoacetic acid and B-hydroxybutyric acid for use by glucose-compromised neurons. When Steve was about 51 years old he starting having memory problems, making big payroll mistakes, couldn’t remember if he’d been to the bank and the post office. He would misplace important mail, and those things weren’t normal, and he was depressed at that point. His doctor thought most likely his memory was related to his depression. But in the next couple of year’s, things progressed. It got much worse. He spent an inordinate amount of time looking for something out in his garage. I’m talking six or eight hours looking for something, which isn’t normal behavior. He started getting lost. He’d never had a problem finding his way around, but he would not be able to find his way back and forth. We had moved here to Spring Hill, and the community has very simple, east-west, north-south roads and he just could not figure it out. And he got lost on a longer trip too — he was following my daughter home when her car broke down in Tallahassee, and he took a wrong turn and ended up on the other coast of Florida. Things like that were happening, so over time, the disease just progressed. It got worse, and worse, and worse, and in 2008, by that point he wasn’t driving anymore and couldn’t even use a calculator. And before that he had done all of his work on a computer, you know. He was very proud of that. If he wasn’t working on it, he was playing on it. Couldn’t turn on the computer, and he couldn’t finish a sentence. He would get lost in the sentence and couldn’t complete the thought. His jaw would tremor when he was trying to talk. He was very sluggish… And this was in May of 2008, before we started the coconut oil. He was very sluggish. He’d come out in the morning — barely any conversation. If he needed a spoon to eat his cereal, he’d be sitting at our kitchen table, and he’d turn around to get a spoon, and he’d come up with a knife. And he would do that over and over. He couldn’t remember what he wanted to do. It was very depressing. He couldn’t figure out how to get water out of the refrigerator… And his personality was gone. The animation in his face was gone. We had already transitioned to a whole food diet, a Mediterranean type of diet, a couple years earlier. There was a clinical trial where they were going to use DHA, one of the Omega-3 fatty acids, 900 mg a day, and I thought, “I don’t want him to get the placebo. It’s an essential fatty acid.” So we’d just started doing that a couple years earlier, but he continued to go downward, and there’s no way to know whether that improved things or not. They’re very correlated. So two clinical trials came along. He tried out for one of them first, and it was at the Byrd Alzheimer’s Institute. He qualified. This time depression had been removed as one of the criteria to exclude someone. So we had great hope that he was going to get into the study. And we went, and he was tested with what’s called the “Mini Mental Status Exam.” It’s a 30-point test. If you’re normal, you should get 30 points. And he got only 12 points, and they needed 16 to qualify. They want people with mild to moderate Alzheimer’s. So I thought, “Well, we’re going to try again.” And in the meantime, the second drug clinical trial became available as well. And so I set him up to have screenings on two successive days that I was off. And the night before, I thought, “What if he gets accepted into both?” And I wanted to look at the risks and the benefits of these two drugs, as much information as I could find out. And it just so happened that I came across a press release for a medical food that was aiming towards FDA recognition. They were still about a year away from it. And the press release said that it improved the memory of nearly half of the people with Alzheimer’s who took it. And you never hear that about Alzheimer’s drugs. With most drugs they say they may slow the progress of the disease for maybe six months in half the people, but they never claim to improve memory and cognition. So it didn’t say what it was or how it worked, so I dug deeper, and I was able to get their patent application. It talked all about an aspect of Alzheimer’s disease I wasn’t familiar with, that is, a type of diabetes of the brain. And the product that they were developing was MCT oil — medium chain triglyceride oil —, which rang a bell with me, because I’m a neonatologist. We used to add MCT oil to the feedings of our premature newborns in the early 80’s — late 70’s or early 80’s — because they absorbed it very easily, and they would gain weight faster if you added it to the feedings. And then that formula manufacturer started adding it directly to the infant formulas. And if you look today on virtually any infant formula in the United States, you’ll see MCT oil, and you’ll see coconut oil, and sometimes palm kernel oil, which MCT oil is extracted from. So I recognized what it was. It’s just a complete fluke. I always call it a perfect storm, things coming together — my husband has Alzheimer’s. I’m a physician. I can understand by reading this patent application, and then MCT oil, which is something that I as a neonatologist — very specifically, something we used in our patients. Basically, what happens is with Alzheimer’s there’s a problem getting glucose into certain parts of the brain, and the brain runs primarily on glucose, and there’s especially a problem with the type of diet that we eat here in the United States, which is a relatively higher-carb diet. It was found that MCT oil of which coconut oil is 60%, ends up fueling the brain of an Alzheimer’s person, with an alternate fuel to glucose in the form of ketones. MCT’s do not require enzymes to breakdown to be utilized. Coconut was shown to work with only one dose. The medium chain triglycerides, in Coconut oil cannot be stored as fat in the body, but instead in converted into energy. The oils and ketones peak in the body, three hours after eating. 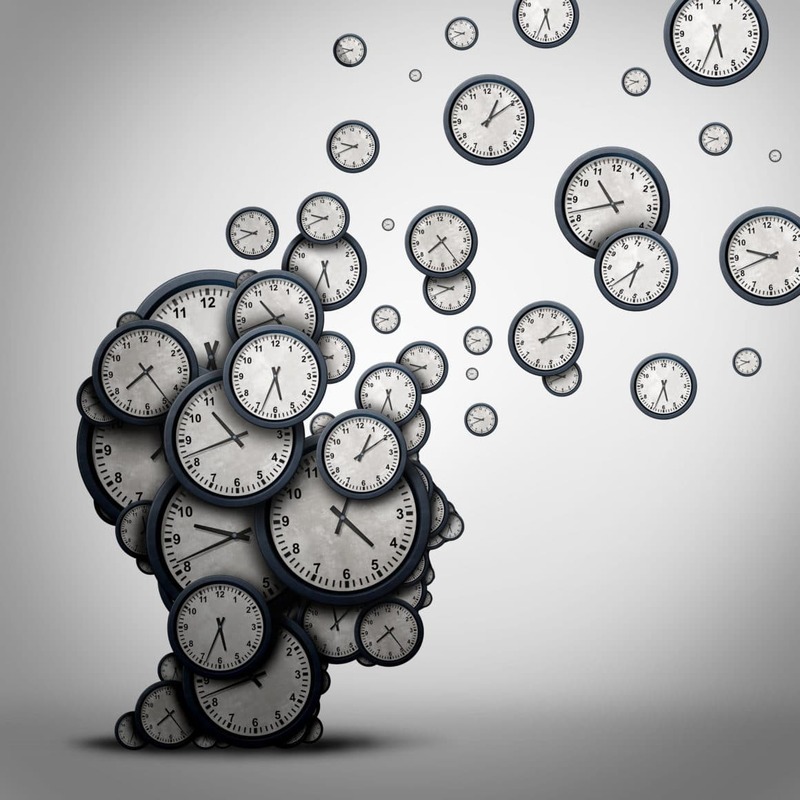 Meaning improved cognition can occur in as little as three hours. Coconut oil gets into the body in 3 hours, but lasts for 6 hours. MCT’s get into the system in 90 minutes and is out of the system in 3 hours. You need to take the coconut oil or MCT’s 3-4x per day, to keep it in the system. This Asians used coconut water as an IV liquid in WWII, then the Americans followed suite. Dr. Newport likes to mix coconut water with coconut cream to make coconut milk, which has the same caloric, content as cow’s milk. Circulation and Alzheimer’s: Alzheimer’s disease and dementia are a consequence of different kinds and complex interactions of age-related neurodegeneration and blood vessel associated diseases. Evidence has accumulated that there is increased atherosclerosis/arteriosclerosis of the intracranial arteries in Alzheimer’s disease and that this may be one of the reasons low oxygen and low blood supply occur to the brain when there is cognitive dysfunction. Restoring Circulation To The Brain: To effectively restore circulation to the brain requires exercise, good diet, and omega 3 fatty acids (Rosita Cod Liver Oil), fish oils help decrease inflammation in the brain, they help T cells get into the brain, they help decrease cytokines, they help blood flow and prevent clotting. Also taking therapeutically effective dosages of niacin can help symptomatically 100 mg of Niacin to start. Also taking vitamins A, D and K2 (K2+) to decalcify the arteries, thus restoring circulation to the brain and body. Mucor 5-10 drops 1x per day; Get Smart is a combination of Nootropics and herbal extracts that can dramatically improve brain cognition. Synergy One, to improve hormonal output. Keep inflammation down with Anti-Inflam. C-60 is a powerful carbon based antioxidant. It can neutralize up to 20 toxins at a time and permanently bind with the toxin to carry it out. It also powerful neutralizes free radicals, which in turn stops inflammation. Due to the benefits to cellular health doubling of lifespan of test animals, C-60 is a power player for neurological health. HYP Medix, helps activate stem cells in the brain to create new brain cells. Circulation to brain after Surgery can lower blood pressure to a point where circulation to the brain diminishes, causing dementia or Alzheimer’s. Another way to restore microcirculation is with the Bemer. Additionally we can direct you to a remarkable product for brain circulation, call 888-988-3325 to gain access to a supplement the restores circulation to the brain. Feeding The Brain Fat: After the age of 30 the human body begins to lose the ability to use sugar as the ideal fuel for the brain. The brain becomes impaired in its ability to use glucose. However as the brain ages it does not lose the ability to use ketones. Feeding and aged brain ketones will make the brainwork optimally. Babies are in a state of ketosis when they are born, so the idea that being in a state of ketosis all the time, is foreign to the body is not correct. The goal to healing is eliminating refined sugars and complex carbohydrates, increasing ketones and lowering inflammation. For those that need help with getting ketones into the body, you can try MCT oil in powder or liquid form. Ketones help all forms of neurodegeneration, such as ALS. Remember Dr. Mary Newport did it all with coconut oil for her husband Steve. 1600 mg CoQ10 per day has helped with Parkinson’s. Also Phosphatidylserine has helped too. Lymes and parasites can cause Alzheimer’s, Autism or Parkinson’s. Glyphosate As a Causative Factor in Alzheimer’s Disease: Manganese (Mn) is an often overlooked but important mineral, required in small amounts for multiple functions in the body. A recent study on cows fed genetically modified Roundup®-Ready feed revealed a severe depletion of serum Mn. Glyphosate, the active ingredient in Roundup®, has also been shown to severely deplete Mn levels in plants. Here, we investigate the impact of Mn on physiology, and its association with gut dysbiosis as well as neuropathologies such as autism, Alzheimer’s disease, depression, anxiety syndrome, Parkinson’s disease, and prion diseases. Glutamate overexpression in the brain in association with autism, Alzheimer’s disease, and other neurological diseases can be explained by Mn deficiency. Heavy Metals As a Causative Factor in Alzheimer’s: Higher mercury concentrations were found in brain regions and blood of some patients with Alzheimer’s disease. Low levels of inorganic mercury were able to cause Parkinson’s disease typical nerve cell deteriorations in vitro and in animal experiments. Other metals like zinc, aluminum, copper, cadmium, manganese, iron, and chromium are not able to elicit all of these deteriorations in low levels, yet they aggravate the toxic effects of mercury. Main human sources for mercury are fish consumption (Methyl-Hg) and dental amalgam (Hg vapor). Regular consumption fish low in mercury reduces the risk of development of Alzheimer’s disease. Amalgam consists of approx. 50 % of elementary mercury, which is constantly being vaporized and absorbed by breathing. Mercury levels in brain tissues are 2 – 10 fold higher in individuals with dental amalgam. Persons showing a genetically determined subgroup of transportation protein for fats (apolipoprotein E4) have an increased Alzheimer’s disease risk. Apoliprotein E (APO E) is found in high concentrations in the central nervous system. The increased Alzheimer’s disease risk through APO E4 might be caused by its reduced ability to bind heavy metals. Latest therapeutic approaches to the treatment of Alzheimer disease embrace pharmaceuticals, which remove or bind metals from the brain. Preliminary success has been documented with chelation of synergistic toxic metals (Fe, Al, Zn, Cu) and therefore also Hg. We at Synergistic Nutrition have had stellar results detoxifying mercury with a combination protocol, found in our free Mercury Detoxification Report. Meditation Can Improve Symptoms of Alzheimer’s: Mitigating the extensive negative biochemical effects of stress is a superficially discussed target of Alzheimer’s disease prevention, yet may be critically important. This paper reviews lifestyle and stress as possible factors contributing to Alzheimer’s disease and meditation’s effects on cognition and well-being for reduction of neurodegeneration and prevention of Alzheimer’s disease. This review highlights Kirtan Kriya, an easy, cost effective meditation technique requiring only 12 minutes a day, which has been successfully employed to improve memory in studies of people with subjective cognitive decline, mild cognitive impairment, and highly stressed caregivers, all of whom are at increased risk for subsequent development of Alzheimer’s disease. Kirtan Kriya has also been shown to improve sleep, decrease depression, reduce anxiety, down regulate inflammatory genes, upregulate immune system genes, improve insulin and glucose regulatory genes, and increase telomerase by 43%; the largest ever recorded. Kirtan Kriya also improves psycho-spiritual well-being or spiritual fitness, important for maintenance of cognitive function and prevention of Alzheimer’s disease. Kirtan Kriya is easy to learn and practice by aging individuals. It is the premise of this review that meditation in general, and Kirtan Kriya specifically, along with other modalities such as dietary modification, physical exercise, mental stimulation, and socialization, may be beneficial as part of an Alzheimer’s disease prevention program. This a meditation of chanting SA, TA, NA, MA for 5 minutes out loud, 5 minutes whispering, 5 minutes silent, 5 minutes silent, 5 minutes whispering, 5 minutes out loud, then a each new utteration of the chant you change the hand position from thumb to forefinger, thumb to middle finger, and so on and back again with each chant. Then at the end you stretch your hands up to the sky, lifting your spinal column, then sit in silence with hands palm up on thighs for a few minutes. Chronic inflammation is the foundation of Alzheimer’s and other diseases. Inflammation begins in the gut. Therefore what we eat and take as supplements and probiotics is key to stopping inflammation and therefore Alzheimer’s. Lowering Homocysteine helps with inflammation: This can be done with “Bio-Strath” as an excellent source of folate, B-6 and B12. The Russians discovered that a combination of Rhodiola, Schizandra and Eleuthero were able to turn on mitochondrial function, thus restoring energy production. All disease is a decline in energy production; therefore to increase mitochondrial function is to promote healing of all diseases. The Russians kept their discovery secret and used these herbs on their athletes and cosmonauts for decades. Dr. Patricia Gerbarg MD came down with Lyme’s that caused Alzheimer’s for her. She eventually got the correct diagnosis and took antibiotics to kill the Lyme’s. The lymes was now gone, however the damage done to the brain from the Lyme’s organism caused her to still have Alzheimer’s. One day Her husband brought home some Rhodiola, which she began to take and in a month or so, she was cognitively out of Alzheimer’s. Over a couple of years she made a full healing. Dr. Gerbarg was the one who did the research on Rhodiola and discovered the Russians secrets on this. She wrote a book called “The Rhodiola Revolution”. For maximum efficacy the herbs must be water extracted, not alcohol extracted and freeze dried. The products that are water extracted that we recommend are: EZ Energy and Clear Mind. Role Of Lithium In Brain Health: Lithium has always been used for serious mental health issues, but it is now known that Lithium promotes brain health and mood and can grow brain cells. It prevents brain neuron tangles and plaque. It can prevent dementia. Lithium treated mice sowed decreased number of senile plaques, no loss of neurons in the cortex and hippocampus and increased derived neurotrophic factor density (a substance that lowers plaque in the brain), compared to controls. Lithium orotate is the best most absorbable form and is extremely affordable in the Professional formulas brand. Tumors can fool the immune system by disguising themselves as normal cells. They can develop a camouflage by expressing high levels of MHC-I in order to avoid recognition by the specific cells of the immune system that play an important role in antitumor defense – the so called natural killer (NK) cells. Natural killer cells recognize and are blocked by the expression of MHC-I molecules on their target cells. As Avemar reduces the MHC-I level on human tumor cells, it makes them visible to NK killing, thus reducing their metastatic activities. In order to defend the body effectively, some cells of the immune system – the leucocytes – require special molecules to help them get through the walls of the vessels and infiltrate what needs to be attacked. One of these special molecules is called the ICAM-1. In the presence of abundant amounts of ICAM-1, leukocytes can get through the walls of the vessels easily. It is known that the inner cells of the vessels of some tumors have smaller amount of ICAM-1 compared to normal cells, and this phenomenon can be considered an escape mechanism because efficient leukocyte infiltration is impaired. It has been shown that Avemar makes more ICAM-1 on the cells of the vessels, thus helping the leucocytes to infiltrate the tumor. Ribonucleotide reductase (RR) is an enzyme, and is needed for DNA synthesis. It was demonstrated that this enzyme is more active in cancer cells, and therefore looks like an excellent target for cancer therapy. It was shown that Avemar blocks this enzyme, which favorably impairs the creation of DNA for cancer cells. PARP is an enzyme that plays a pivotal role in repairing the DNA chains. The activity of this enzyme is extremely high in cancer cells because they are highly dependent upon the active function of their DNA. In the presence of PARP, the cells can correct their eventual mistakes, which coincidentally happen during cell division. Similarly, if PARP does not work well, it leads to DNA fragmentation and thus to cell death (called apoptosis). Avemar inhibits PARP; therefore DNA repair in cancer cells is also impaired. It was also shown that Avemar does not trigger apoptosis in healthy cells. Bemer: 8 minutes to 20 minutes 2x per day. Lithium Orotate: 2 tabs 2x per day. All of the products listed above may be purchased by clicking here. In the end the person wanting to prevent or reverse Alzheimer’s the easiest will consume and all fruit diet, take freeze-dried clean glandulars and herbs. At the base of all disease is toxicity and cellular damage and lack of electrical energy. An all fruit diet supports detoxification and gives you food with the highest electrical energy. In time the brain and other tissues become detoxified, the electrical current of the cell is restored, which enables stem cells to be made and convert into new tissue. We can fully regenerate the body when we activate the stem cell production of the body and the conversion of the stem cells to new cells and when we increase telomerase levels.